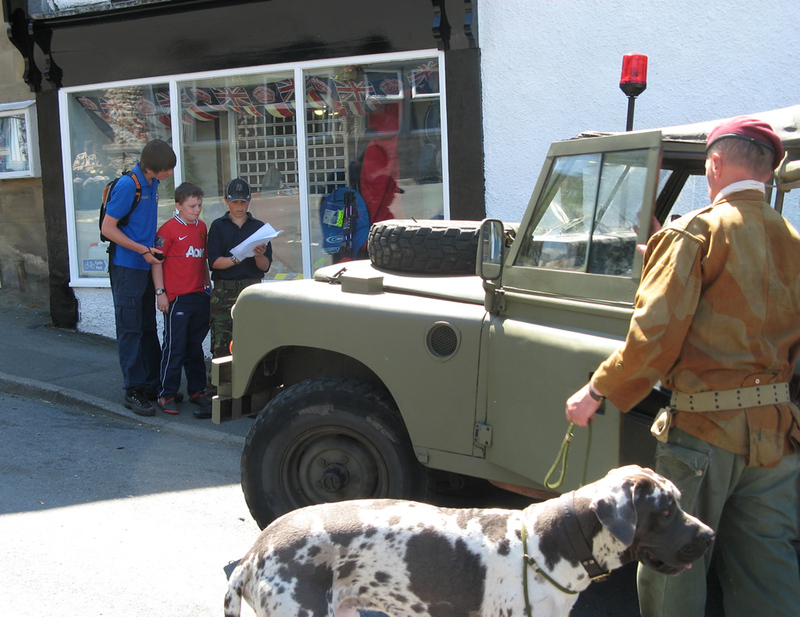 Operation Homeguard is Ingleton’s annual 1940’s nostalgia weekend and this year took place over the first weekend in July. Ingleton is a small village on the edge of the North Yorkshire/ North Lancashire border that changes itself to represent its twin town of La Chapelle-des-Marais in Normandy as the Allied Troops liberated the town; in 2011 the liberation is represented by a street parade led by the City of Bradford Pipe Band followed by numerous WWII military vehicles. The RAF Amateur Radio Society in association with Royal Signals ARS and Craven Radio Amateur Group (CRAG) set up a special event HF station in the old Railway Station at Ingleton. The venerable Roy Walker, acting as the Wing Radio Officer for the Cumbria & North Lancashire Wing ATC, arranged for the Cadets to provide some help during the event. 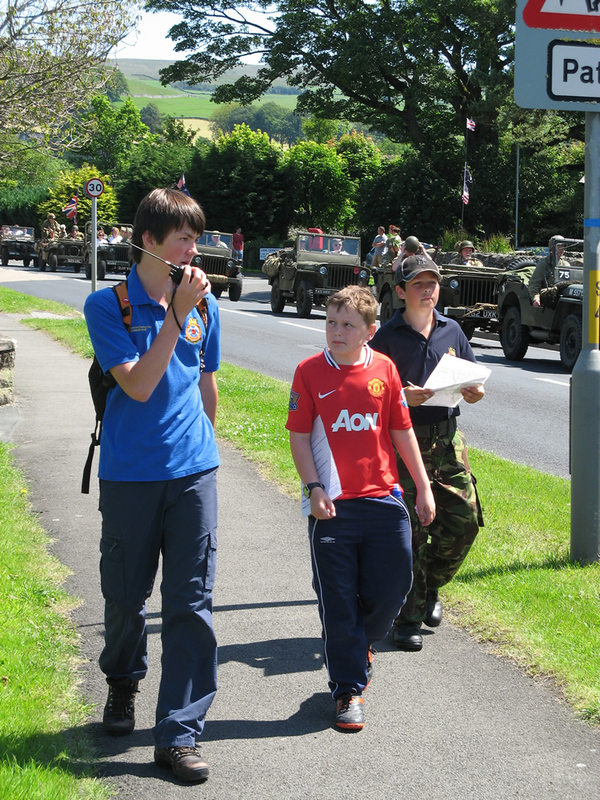 As it turned out, all of the Cadets were more interested in going out and about around Ingleton, joining in with the 1940’s weekend events. 967 (BAe Warton) Sqn, 1127 (Kendall) Sqn and 2246 (Carnforth) Sqn joined together and used the event to set up their own UHF network to run a number of orienteering style exercises for the Cadets. The Cadets were sent out to complete various tasks all controlled back at the RAF Operations Centre set up next to CRAG; the usual squeals, whistles and white noise from the HF set clearly being heard over ‘Controls’ UHF transmissions. 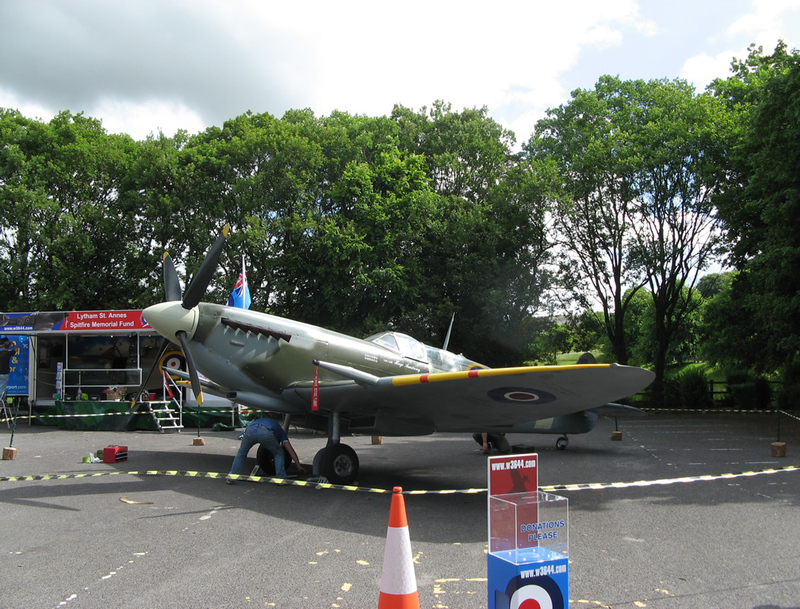 Just after lunch, proceedings came to a rapid halt as the Battle of Britain Spitfire arrived, swooping over the village a number of times; well, radio’s never as interesting as watching a Spitfire fly around now is it…. I’m afraid to say that we breached the OFCOM regulations later on when a George Formby impressionist started up in the hall next door as his music could be heard quite distinctively on the UHF net – sorry OFCOM. The heat of the day took its toll shortly afterwards calling a halt to the day’s proceedings. 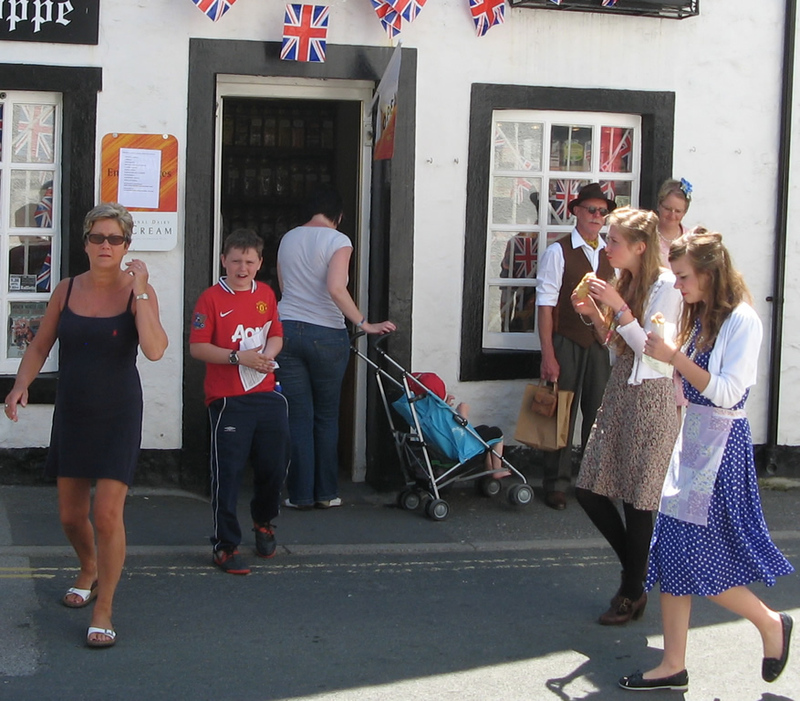 Sunday arrived and proved to be another glorious day – well, to us sun worshippers at any rate. Dress down day was declared and proved more successful as the Cadets suffered a lot less by not wearing full combats (I forgot my camera on the first day, hence no pictures). This allowed the Cadets to venture slightly further afield, completing some of the tasks missed the day before. Although the tasks were designed to be time consuming, some of the Cadets still managed to find time to buy sweets; the one on the left was caught on camera so no denying this small misdemeanour. The mornings exercise finished just in time to get back for the street parade while the afternoons exercise ended up being a walk in the countryside, for us anyway, as one of the roads became too busy to use for safety reasons. The loss of ‘Foghorn’ from the net due to terrain masking proved a big hit with the other Teams as this then freed up the airwaves for a while. Unfortunately ‘Hercules’ then took the opportunity to monopolise while she was off air. All in all, the Cadets had a great time and thoroughly enjoyed the whole weekend. I know from my Cadets that they are now interested in using radios as they want to do the Radio Foundation course while the other Cadet now wants to continue and take his Intermediate exam. Thanks Roy, that’s means more work for me teaching them – only joking. The other good news was that a number of Cadets who participated as ‘Control’ proved their worth and have been rewarded with Full VHF/UHF Operator status required for their Radio Communicators Badge. On a side note, do you remember this aircraft Roy? It’s the Lytham St Annes Mark VB Spitfire (W3644) from last year which is a replica of the original W3644, still buried in the sea – a really good display and Stand but very noisy due to what seemed a running commentary on a loudspeaker. It really annoyed Roy so if you want to hire it then visit http://www.w3644.com for details. Thanks for everything Roy and all those who helped out – now looking forward to next year’s Operation Homeguard on 7th & 8th July 2012, hopefully this time it will include an overnight camp & group barbeque – book your place now to make certain you can go as places will be limited !!! More information on the Ingleton Home Guard can be found here.